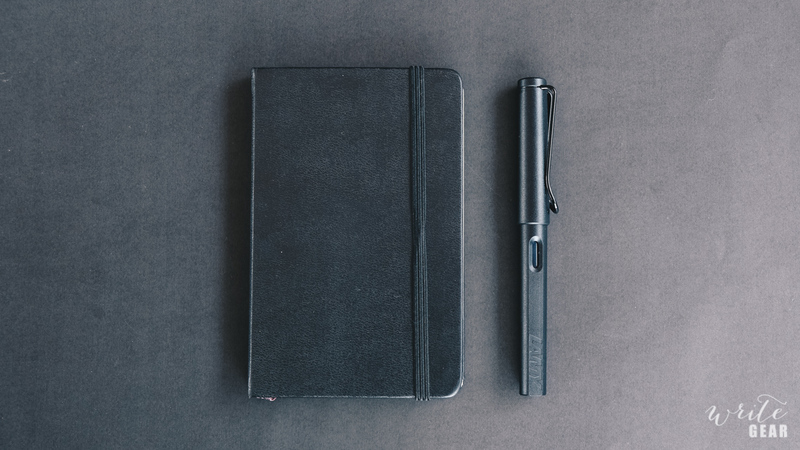 The Lamy Safari All Black is the third consecutive Limited Edition to come with a matt finish. The Dark Lilac (2016 Limited Edition) was beautiful. The fountain pen world had been waiting for a purple Safari and they delivered with such a great colour and in the beloved matt finish too. Then came the Petrol (2017 Limited Edition) and this was even better than people had expected. It still remains the fastest selling pen at Write GEAR. In fact we still get requests from people asking for the Petrol Safari. Now we have the All Black which, following on from that line of colours, does sound a bit bland. And well if you were hoping for a spectacular out there colour then I would agree with you. It is black. However I think this edition is amazing in its own right. 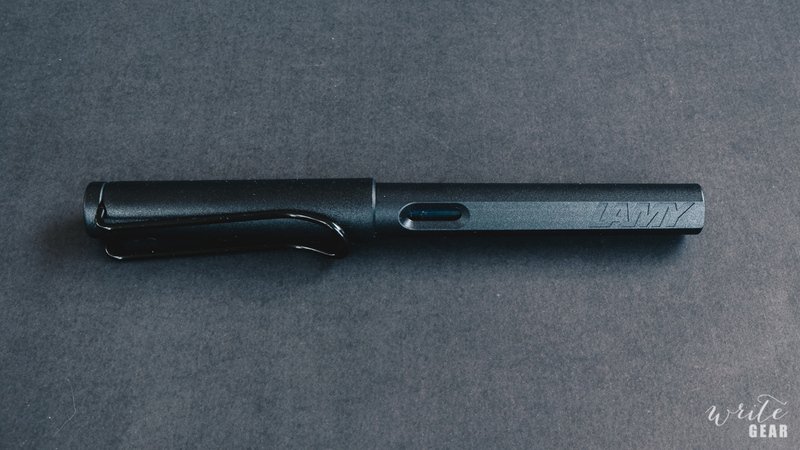 The very first thing I thought about when I held the All Black was, “why has it taken Lamy so long to produce an All Black matt finish Safari.” This is the pen that should have always been in their standard lineup. If you have been wanting a black Safari this one will definitely, in my opinion, jump ahead of the shiny black one that is in the standard range. I know for me this will become one of my everyday carries. The colour lends itself to looking serious and ready for carrying everyday for work. One of the things we have come to love about the last two year’s limited editions was the ink. The Dark Lilac and the Petrol inks were spectacular. They had sheen, they looked amazing and had great performance. Unfortunately, with it being an All Black Limited Edition Pen, there is no accompanying ink. 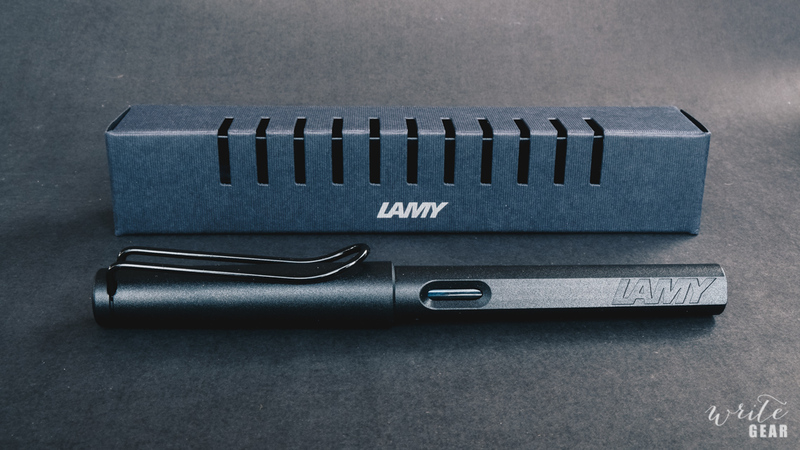 You have to settle for the standard Lamy Black. Boo. This blog post has been to speak about the Limited Edition All Black and not about the Safari range. However for those who have never owned a Safari let me say a couple things. The Safari is a great entry level pen. 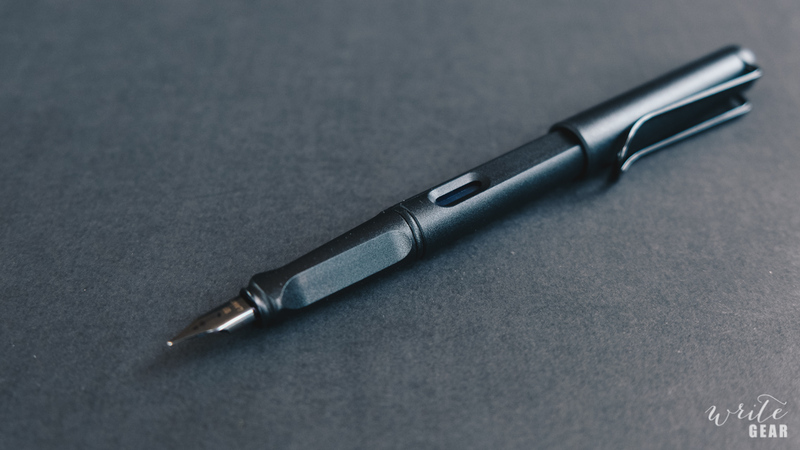 It sits just in the mark of what most people would pay for a first fountain pen. The great thing about the Safari is that it performs like an expensive pen. They write well everytime and use the same steel nib that all their other higher end pens use (well at least the ones without gold nibs and except the Lamy Aion). The plastic is very durable and for a lot of people it is their go to for an everyday, anywhere, anytime pen. It is one of those pens that most fountain pen people (that’s us, we’re a weird bunch) would have in their collection. Just to end off my thought, I would say this is certainly a worthwhile Limited Edition to get. 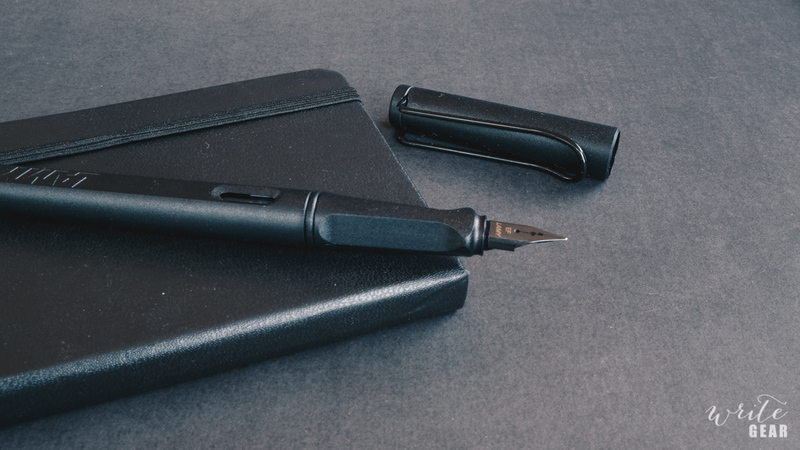 I think it’s that Limited Edition that you will debate getting for yourself because it is a plain colour but when this Limited Edition is all sold out you will be saying “I wish Lamy made a Matt Safari in All Black.” And they did, and now it’s gone. That is why I am making sure I have added this to my collection, because it is the colour I still think Lamy should have had from the start.